Well developed Roselite-Beta crystals with fine polycrystalline surfaces, bright and with a very deep and uniform color, and with small Calcite crystals that are clear, colorless and very bright. On a sandstone matrix with white Calcite. The sample has been analyzed and we’ll send a copy of the analysis to the buyer. 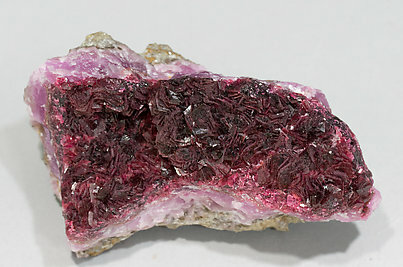 A druse of lenticular and finely striated Beta-roselite crystals with a deep and uniform color, on matrix and with small clear and colorless Calcite crystals. The sample has been analyzed and we’ll send a copy of the analysis to the buyer. Rosette growths of transparent and very bright tabular crystals that have a very vivid and deep color. They are on matrix, with small Calcite crystals. The simple has been analyzed and we’ll send a copy of the analysis to the buyer. This is among the best we have seen, with excellent color and brilliance. 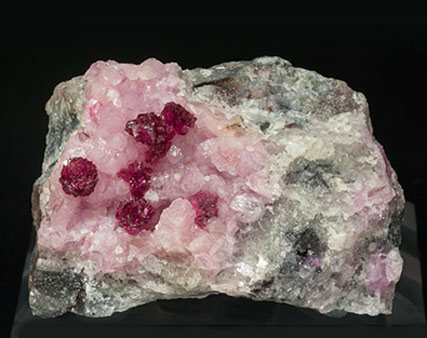 To these great features we can add that it has excellent crystallization, with the lenticular crystals of Beta-Roselite stacked on the matrix and surrounded by light pink Calcite. 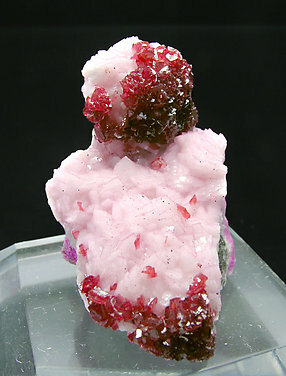 We will give the purchaser a copy of the analysis of the Beta-Roselite, which we did because of its unusual appearance. 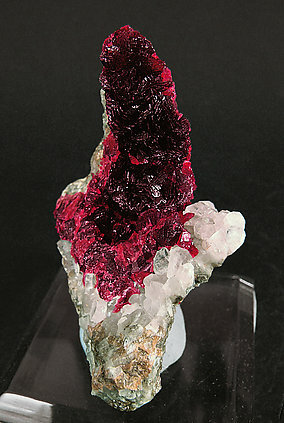 Druse of crystals with an unusual morphology for Beta-Roselite, with lenticular crystals that show a very deep color and are on a matrix of cobaltoan Calcite. The sample has been accurately analyzed and we’ll send a copy of the analysis to the buyer. 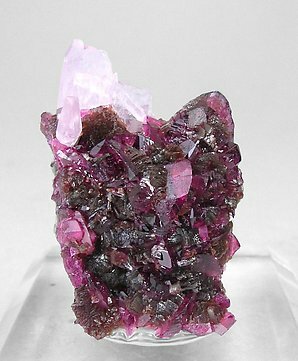 This very esthetic specimen has two concentrations of Beta-Roselite crystals. They are very well defined and have a magnificent luster and an excellent, very deep, color. They are on a matrix of pink Dolomite crystals. 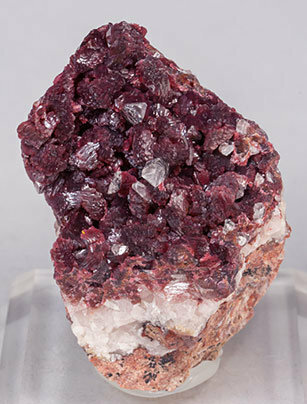 Groups of small lenticular, slightly orange colored, crystals of Beta-Roselite, partially covering more isolated crystals of Roselite, with very well defined faces and edges. 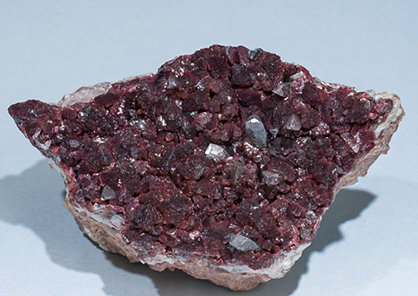 The sample is with an analysis of the Beta-Roselite.